Interested in taking advantage of XE.com’s global reach and highly targeted audience? We work with Tribal Fusion to manage advertising opportunities on our website and mobile apps. 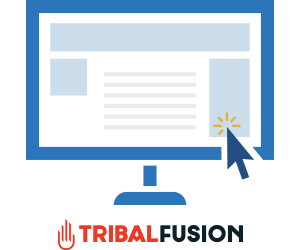 Tribal Fusion is a global performance display advertising provider. They enable advertisers to model, target, and optimize online campaigns against unique interest-based audiences. Powered by page-level contextualization and transparent audience modelling, their technology drives awareness, consideration, and intent to deliver display advertising performance. If you would like to place advertisements on XE’s properties, please contact our Tribal Fusion representative below.